Happy Halloween to them too!!! 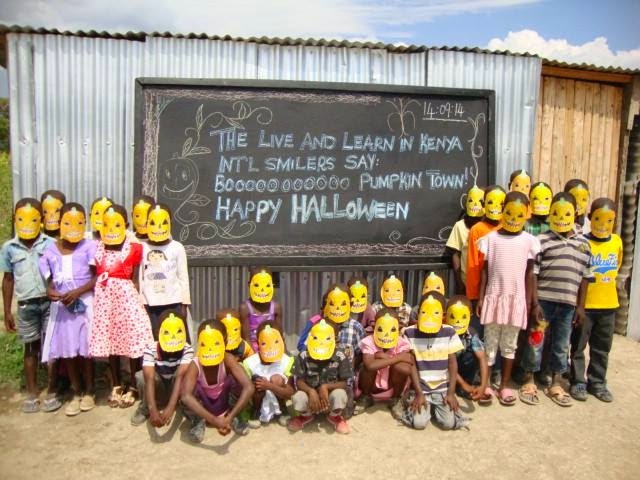 Feed a Smile is a groupe and place linked with a real NGO "Live and Learn in Kenya". This NGO helps disadvantaged children in Kenya by construction of Education Centers, School Holidays program, sponsoring, some activities, and a Feeding Program. The Feeding Program is the project that is highlighted on Second Life. 100 L$ offers a meal to those children. 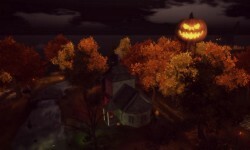 Of course, in Pumpkin Town, you will find a board to give some donations, and we will have a special Feed a Smile Day.